Quakes - 1st Inning: Mark Wilkinson leads off with a single. He soon steals 2nd and is then sacrificed over to 3rd. With 1 out, Max Thomas draws a walk and steals 2nd soon after. Luke Laolagi hits a 2-run double to right. Quakes get 2 runs on 2 hits and they leave 1. 2-0 Quakes. Quakes - 2nd Inning: Matt Alvarado draws a 2-out walk; then steals 2nd. Beans Curiel reaches base due to a fielding error; putting 2 on for Gabe Ruiz. He singles to right; scoring Alvarado. 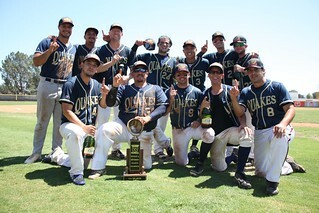 Quakes get 1 run on 1 hit; with 1 Outlaw error and they left 2 men on base. 3-0 Quakes. Quakes - 4th Inning: Dirk Detrou singles to left. Shoki Hioki reaches base on a fielder's choice; as Detrou is forced at 2nd. Hioki steals 2nd; advances to 3rd on a wild pitch, then scores on a pass ball. DJ Cook draws a 2-out walk. 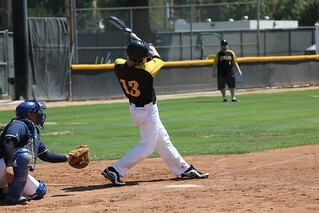 Matt Alvarado hits an RBI single to center. Quakes get 2 runs on 2 hits; with no errors and a man left. 5-0 Quakes. Outlaws - 5th Inning: Matt Mason hits a 2-out single to right. Mark Colgin singles to center. Josh Nadler reaches base due to a fielding error. Justin Jamroz hits a 3-run double to right. Outlaws get 3 runs on 3 hits; with 1 Quake error and nobody left on. 5-3 Quakes. Quakes - 5th Inning: Mike Cioffi reaches base on a fielding error. Mark Wilkinson singles to left. Collin Ozar singles to center. Mike Cioffi scores from 3rd on a pass ball. Max Thomas walks. Luke Laolagi hits a sac fly to left; scoring a run. Dirk Detrou hits an RBI single to left. Shoki Hioki hits an RBI single. Ryan Alvarado draws a walk. DJ Cook hits a 3-run triple to center. Matt Alvarado draws a walk. Beans Curiel hits a 2-run single to left. With 2 out; Mark Wilkinson singles to right. Collin Ozar hits an RBI single. Quakes get 10 runs on 8 hits; with no errors and 2 men left on base. 15-3 Quakes. Outlaws - 6th Inning: Craig Tolan is hit by a pitch. Manager Chris Bentz singles to left. 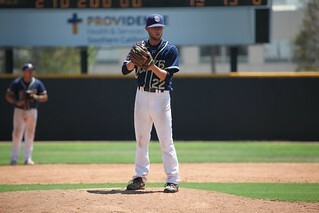 Jared Edrosolan reaches base due to a throwing error by the pitcher; with 2 runs scoring on the play. Outlaws get 2 runs on 1 hit; with 1 Quake error and 1 man left on base. 15-5 Quakes FINAL. 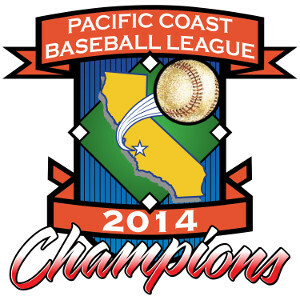 Congratulations to the 2014 A-Division Champion QUAKES!